The ten gameboards in this packet come from my teacher's closet on topsthemonkey.com. 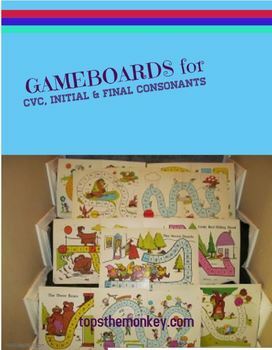 These gameboards can be used with one's own designed cards or with the cards presented in the packet, "Game Cards for Teaching CVC, Initial, and Final Consonants." The gameboards and cards are wonderful resources to use in centers.